Discussion in 'Giveaway, Contest & Raffle Forum' started by Lyubomir Trayanov, Dec 15, 2017. Manly USA would like to give a special Christmas present to a Eagle Scout or Scoutmaster in your family or troop. For that we made a specially engraved stone washed Manly Patriot knife. To enter reply to the post with brief message describing the scout or the master. Multiple entrys are fine. 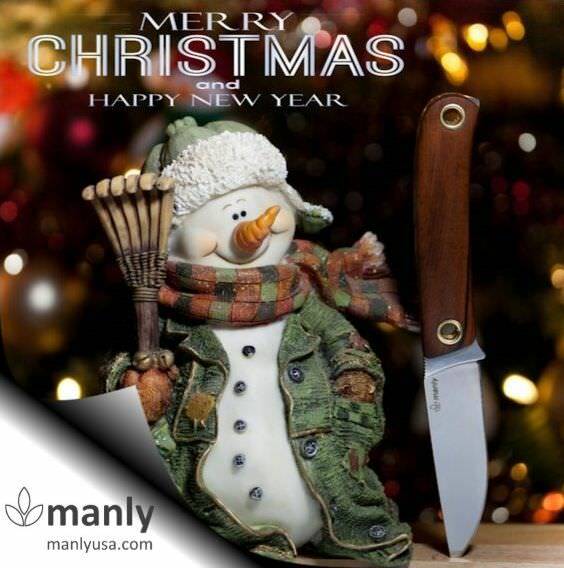 We will let this run until Wendsday December 20th in order to deliver the knife before Christmas. On the 20th we will use random number generator to pic a winner. Special thanks to Gary Graley aka G2 for the great shot. Stu Gatz, Gary W. Graley and Insipid Moniker like this. This is not an entry, because I don't personally know any Eagle Scouts or Scoutmasters, but I had to say that this is an awesome Giveaway. Thank you for doing it. Stu Gatz and Lyubomir Trayanov like this. Actually, I just found out that one of my friends is an Eagle Scout, and one is a Den Leader. Since you didn't mention Den Leaders, I will go ahead and enter on Tom's (the Eagle Scout) behalf. I met Tom through my best friend Nate when I was his Best Man at Nate's wedding. Tom was one of his groomsmen. There were a number of hiccups in the week leading up to the wedding. Tom was very helpful throughout the week making things work out. And he even kept positive when the cabin I thought I had rented for the bachelor weekend turned out to be a shelter. He handled the impromptu camping well. When we shifted to a new location for the second night, Tom was very helped clear the road out when a windstorm brought down a maple. When Men's Wearhouse got EVERYBODY's pants wrong, he literally sucked it up and wore a pair FOUR sizes too small so that everyone was at least able to have a pair of pants on. I could go on. I hadn't known Tom before that, but I really appreciated that he was there that weekend. Plus, it turns out that he is also a big nerd, so we have continued to have plenty to talk about in the ensuing years. And just in case I can do a second entry on behalf of the Den Leader, his name is Rick. Rick and I have been friends since high school. It has been almost 20 years now since I last saw Rick in person, though we have kept in touch, mostly through facebook. While I would have to say that Rick was definitely a bit of a fabulist as a young man, he was also a reliable friend when I was in need. We made it through some tough times together. These days he is a dedicated family man (and also a dedicated nerd). As well as an avid hunter and outdoorsman. I think that he would certainly make good use of the knife. If the multiple entries for different people are a problem I can delete one. Gary W. Graley and Lyubomir Trayanov like this. You are welcome, we are happy to do it. And Yes multiple entrys are fine. Well I found out that I have another Eagle Scout friend, Richie. In the interest of bumping this generous GAW again, I thought I would do one more entry. Richie is a fellow archaeologist. He comes across as pretty laid back, and he is a pretty casual guy, but he is also driven. I met him out at an archaeological field school, and since then he has gone on to start graduate school working on his Master's. He is an avid outdoorsman and a good guy all around. Also, in the interest of more people getting to participate in this, threads in the giveaway/contest forum can only be seen by paying members. I can't believe I am the only person with scouting friends. Maybe moving this to another forum might get more eyes on the contest. It would be a shame if so few people saw Manly's generosity. I am usually very reluctant to enter Give Away Contests and usually prefer to offer same. However, and that said, I know a number of older and very recent Eagle Scouts inductees and Scoutmasters (a few of whom are former military members) and I would be honored to pass along this knife to any one of them. Very generous and honorable Give Away blade, KUDOS. My son, Kurt, age 16 earned his rank of Eagle Scout this year. His project was building four picnic tables, two benches and doing some landscaping for the local Lions Club/American Legion (they share a building). As for his Scout career, he has earned 70 merit badges, has gone to Philmont New Mexico two times (at age 10 and 14), has served as summer camp staff here in Indiana for the past two summers, has attended National Youth Leadership Training course, earned the Arrow of Light as a Cub Scout, and plans on serving as Summer Camp Staff again this year. Stu Gatz, Lyubomir Trayanov and abbydaddy like this. This is a great GAW, thanks Manly. My nephew became an Eagle scout this year. He was by far the youngest in the group, being in 8th grade. The rest of the kids were in high school. Not sure if it was a significant accomplishment, but I was proud. What I was super impressed with was talking to the other Eagle scouts and how highly they spoke of Everett. This morning random number generator chose Post #7 as a winner of our Christmas Scout GAW. Congratulations goes to Stu Gatz. 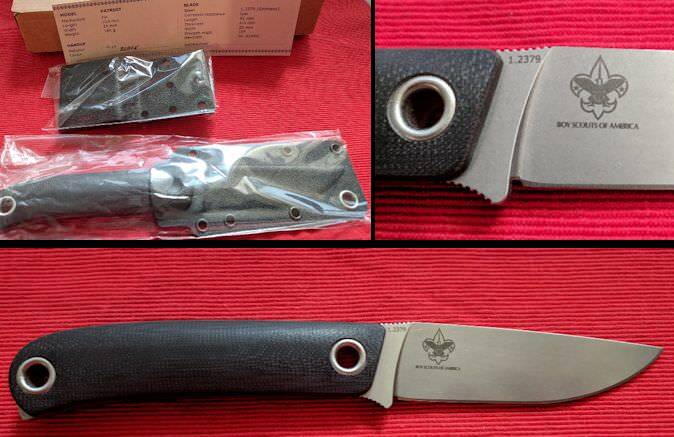 Please pm me your shipping address and I will send the knife to you today, so you can forward it to the scout or scoutmaster. Thank you all and have a Merry Christmas and Happy New Year! Wow! I am deeply honored to be allowed to pass this blade along to a deserving Eagle Scout or Scoutmaster. Now, becasue there are quite a few to choose from, I will need to conduct my own lottery of sorts (no stones being thrown in this type ) to select the final recipient. Lyubomir, I will send you a photo of the knife being presented to the recipient gentleman. Many, many thanks Lyubomir and Manly USA for this. PM / email en route shortly. Congrats to the winner. Thanks to Lyubomir for the giveaway. I did not enter, because I am not a Scout leader any more (I was for about 10 years). I am also an Eagle Scout ( more than 25 years ago). That will be a great knife.